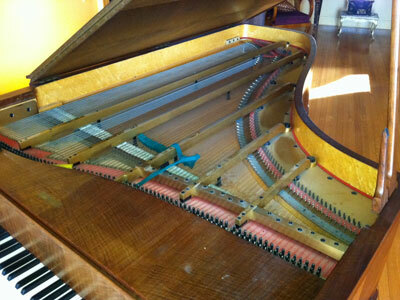 I recently had the privilege of tuning a beautiful, rare Erard grand piano, in amazing condition, considering it’s age. 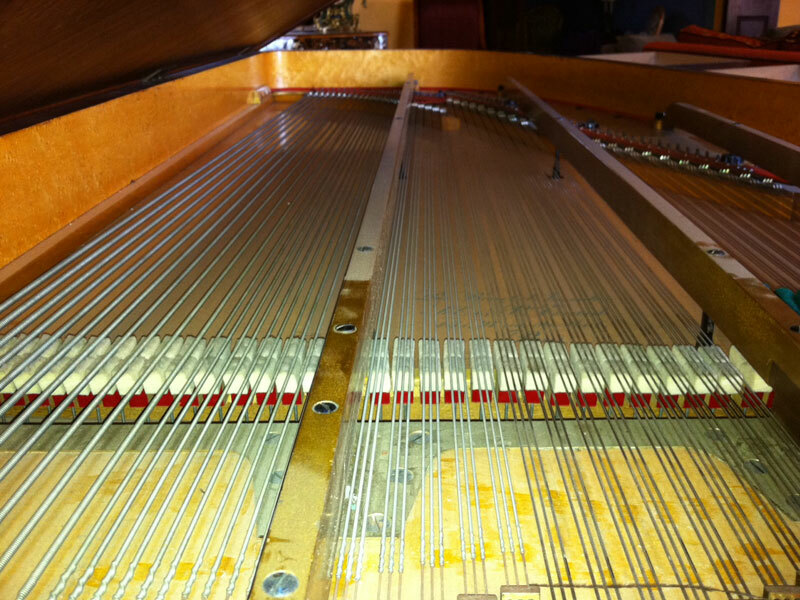 Notice how the dampers are under the strings. This is unique and a bear to work on! I had to see how the mechanism worked. Also this piano is straight strung which is reminiscent of the old piano forté pianos. It was the highlight of my day. In this job you never know what you are in for from day to day.